- Call (858) 226-6985 or email info@BTSDsd.com to schedule a trial class. - Keep in mind that we don't take everyone into training - background checks are performed on all students. You will pay the $25 for this. - When you come in for the trial class, you will meet the instructors, participate in a class, and meet the other students. This is designed specifically to allow you to get to know us and us to get to know you. This vetting process is powerful and has produced an environment and training group that is free of weirdos, big egos, and bad attitudes. The ladies that train with us especially appreciate this process. - Once the trial class is over, you will be interviewed by an instructor. If all is good, a green-light is given and an invitation may be extended to you to train with us. Please keep in mind that this is not from an elitist standpoint. 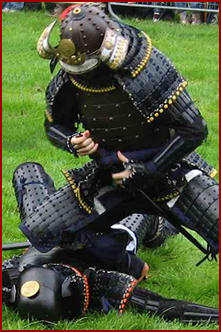 Bujinkan is a combative art and we train with weapons including live blades and firearms. We are responsible for what happens in the training hall so we are selective about who we train. Once you are ready to get started, the background check is conducted. - Please don't be intimidated by the process, if you are a person of good character you are welcome to train with us. Prior martial arts training, physical prowess, aggressive attitudes, or uncanny skill aren't necessary. A willingness to learn and the courage to try are what we are looking for. - Call or email today to get started! It's up to you to take the first step!